Over the years I have discovered that there are many different uses for the inexpensive fleece blankets that you can pick up at any Wal-Mart, grocery store, or Dollar Store. Since they are so versatile, it is a good idea to have some fleece blankets put back in your preps for hard times. 4 Making thicker blankets out of fleece is very easy and can even be done without sewing! 15 Larger fleece blankets are nice to have too. At $2.50-$5 for a standard cheap fleece blanket, this is an inexpensive prep. With all the fancy gear and the media covering preppers that have a lot of money to spend on preps, it can be easy to forget that prepping like so many things is an activity where small steps in the right direction really add up. A $5 blanket and a $3 pack of lighters here and there may not seem like much but spending $5-$10 as you can throughout a year can lead to being much more prepared than the average person out there. Fleece blankets do hold a lot of water when washed, but after they are rung out, they dry very fast. They compress down small too. Even with my little Wonder Wash hand washer, I can wash a fleece blanket and a few pillowcases at once. It can be a bit heavy to lift it to drain, but part of that is my own impatience. If you leave a fleece blanket to drain in the Wonder Wash for 10 minutes while you do other chores, the burden is not so great. I just try to let it drain enough to put in the low power consumption spin dryer. Using this means the fleece is practically dry by the time I take it out. If you have a regular washer and dryer, then you may already know just how little dry time is required, especially if you have a good spin cycle on your washer. During SHTF it is going to be harder to keep warm due to lack of electricity, gas, wood, etc. Even if you have several sources of heat, eventually one may run out and then you have to rely on a backup. Usually back up heat is harder to use for a lot of people because it is wood heat. If your back up is propane or something else that is limited, then you may want to try to make the most of it, so that means piling on some extra blankets or clothing as needed. Making thicker blankets out of fleece is very easy and can even be done without sewing! Double up and line or sew together for thicker blankets. You can even combine and cut and sew as needed in order to make blankets that are sized for full-size beds or larger. Since many fleece blankets are 50″ x 60″, you will need to sew some together, but there is no reason why you could not make a very cozy and warm blanket with just a little thread if needed. If you have a sewing machine, then it takes almost no time to make a basic layered blanket. The 50″ x 60″ is a decent size for kids and baby blankets. Of course, you can also put together layers of fleece without sewing. Here is a link to “Everything You Wanted To Know About Making Fleece Blankets”. I am definitely putting this on my list of fun and easy projects to try this winter. Lining clothing with fleece can make it much more suitable for cold weather or times when heat may be limited or nonexistent in your home. A coat that is just about worn out can be refurbished with fleece. It may not look the best but who cares during a long term emergency or survival situation? Part of staying warm can mean insulating areas where heat loss is a major concern. Windows and doors are notorious for heat loss. Covering windows can help block out light during SHTF so people cannot tell as much about what is contained within if it is dark outside. Insulating windows can make a big difference in how warm a place stays. I have a sunroom and living room with a lot of glass, and it is the hardest area to heat. Fleece is actually very cheap material so you can use it as you would any length of fabric and make items as needed. It is very easy to sew fleece material even if you double it over a time or two. Even if you are stuck hand sewing, you could pick a lot harder material to sew with than fleece. Considering it is $5 for a 50 x 60 section, it is a lot less expensive than a lot of fabric at any sewing shop you go to. The last time I made a handmade quilt I struggled to find reasonable cotton fabric. It was impossible to find for under $10 per yard, and $15 was more typical. Nowadays it may be even worse! I have gone through a few pet beds. After all that we have been through I have come to the conclusion that for cats and dogs it is hard to beat fleece blankets. They absolutely love them, and they are very easy to clean and dry. If a pet makes a big mess of one, then it is not like they messed up a pricy pet bed. So if you have a puppy that is still at the chewing stage, it can be a good solution to give them a few fleece blankets until they get it out of their system. You could also get a very cheap pet bed and throw a few fleece blankets on it. Once they are done with the chomping phase then, by all means, get a nice pet bed if you want, but in the meantime, the fleece blanket is your friend. The mylar emergency blanket is a great thing but they are not ideal. A few cozy fleece blankets don’t take up a lot of space and will be more comfortable than a crunchy mylar blanket. If you get stuck out when it is extremely cold, you can use the fleece next to your skin and the emergency blanket on the outside. This will feel better and keep you warmer too! I hear a lot of readers plan on taking in at least some family and maybe a few friends during a long term emergency or SHTF. That is great if you can do it and it works out well, but there are many things to consider. For example, do you have enough bedding for them? 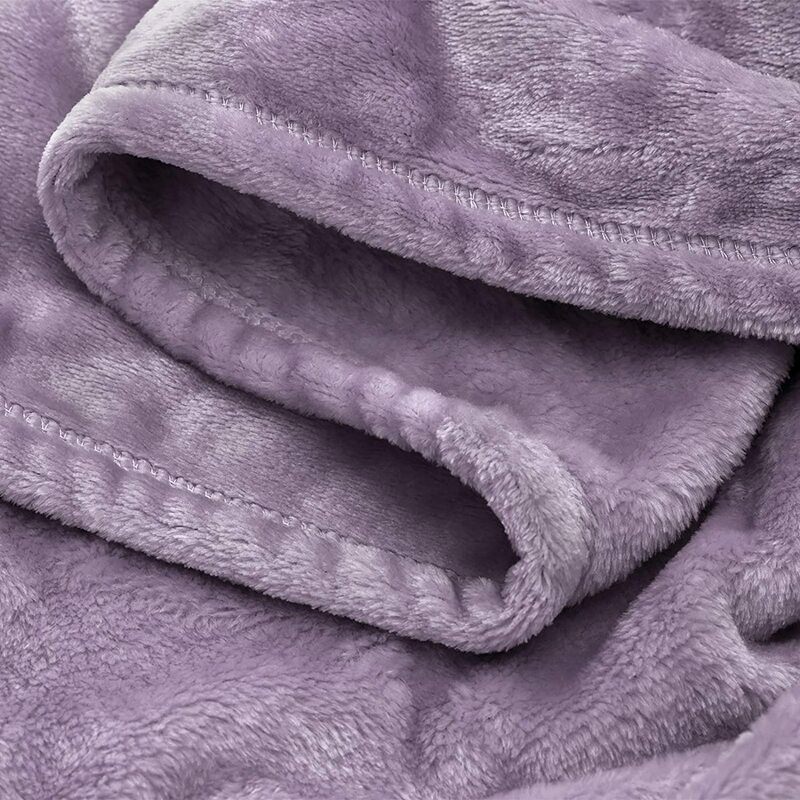 Cheap fleece blankets are a good choice because they are affordable to put back just in case and since they have so many other uses, it is not like you are putting back something that will possibly never be used for anything at all. If you have the right colors of blankest, they can be used to help camouflage areas and objects that you don’t want others to pick up on. Everyone needs to stay warm. Having some basics that everyone needs on hand is a good thing when it comes time to barter. Ideally, barter will not be necessary until after a situation has calmed down a bit, but no matter how well supplied you are now, there will be a time when you need to exchange goods or services with others. The items that are universally needed are some of the best for a long term survival situation. I find cheap fleece all over the place. Our local grocery store has blankets in stock regularly. Practically any store including many gas station and convenience stores carry fleece blankets. On the other hand, if you want a lot of them that you can put back and forget about until needed, it is hard to beat Amazon. You can get a 12 pack for $50 or a 24 pack for just under $100. That is a good hedge against hard times. Larger fleece blankets are nice to have too. Sometimes you can find larger fleece blankets on sale. These are a good idea to put back too and may even be a better deal than the smaller ones if you catch the right sale. I just advocate the smaller version because that is what you can normally find at a low cost at just about any store. You can cut fleece into strips and braid and sew it into rugs if needed. This is a cool project that I have never managed to find time for, but it is a neat use for fleece blankets and can help insulate cold floors in a house. This is not the best idea for floors that are super slick. Fleece slides across hardwood and other floors pretty well. You can make a lot of hats out of a single fleece blanket. Since you lose a lot of body heat out of your head, having the material and ability to produce hats is valuable. 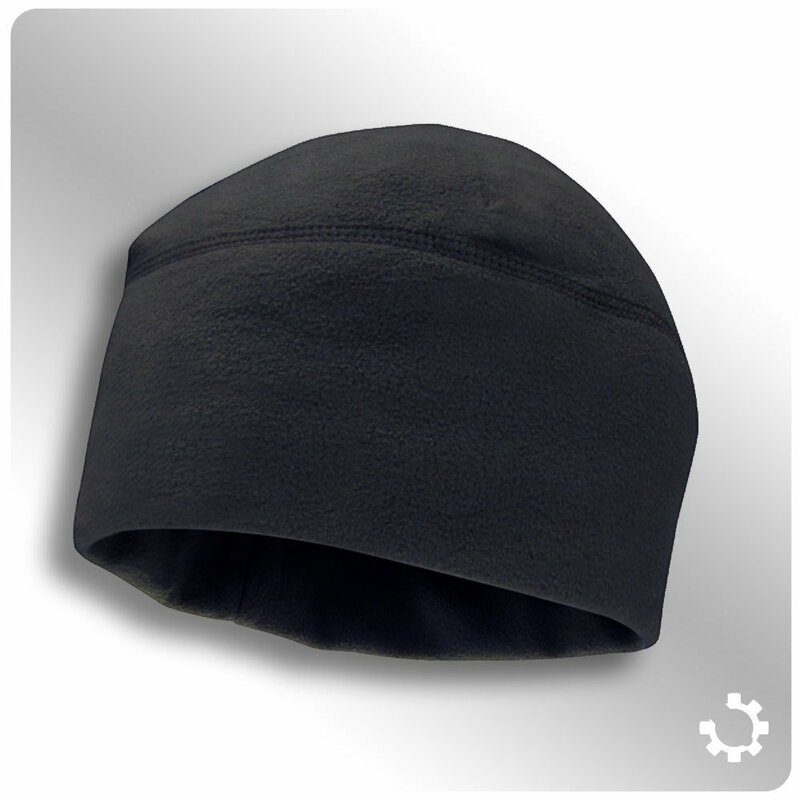 That $5 fleece blanket could make 10 hats during SHTF! Fleece socks are very warm and cozy. While cotton may be your friend during good times when it is hot, fleece is a good alternative to wool and expensive synthetics. A single fleece throw can make quite a few warm socks. If you are not into fleece socks or need further warmth, consider making fleece boot liners. This could also be a great way to refurbish a pair of boots that have seen better days. You can even double to triple the fleece fabric and sew it if you want a very thick liner. Something to lay your head on can make a big difference in the quality of your sleep. Fleece is so cheap that you could sew the outside of a pillow and even stuff it with fleece scraps or whatever you have and it would be a lot nicer than no pillow at all and possibly more comfortable than what you are sleeping on now. I am not the most gifted artist, but I think I could manage to make some kind of toy or stuffed animal for a kid with a bit of fleece. 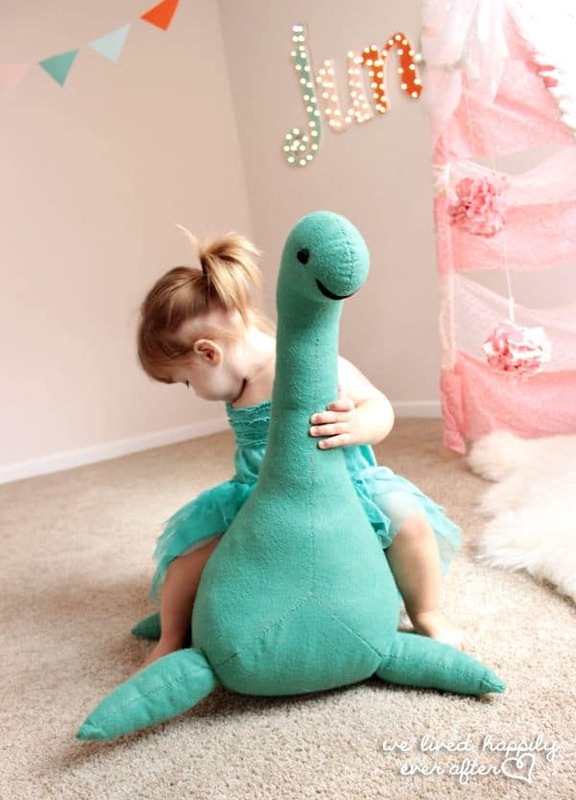 I found a site that has links to a ton of patterns if you want to get started creating homemade stuffed animals. Something to carry things in is something that is easy to take for granted during good times. Fleece is strong, and it doesn’t make scratch items. You can make all kinds of purses, bags, backpacks, etc. with fleece. No, it is not going to be as tough as your super duty tactical backpack, but it will be quite serviceable for many daily tasks. Also if you wear out a few bags made of fleece in the interest of getting work done, then you have not spent that much money or time. What does $5 get you most of the time? While the outer covering of oven mitts should be something other than fleece. A few layers of fleece can provide an excellent lining. I think this may be my next sewing project considering how poorly made the oven mitts and potholders I have bought have turned out to be! This video shows one design and method for making your own heat packs. To make your own heat packs for use in the microwave you simply get any cheap cotton fabric and make a bag that you fill with rice and sew up. This bag can be heated and then put in a fleece cover that is washable and super soothing and soft. There is no need to pay for the same thing at a fancy boutique. A natural “heat bag” is just cheap grain that is heated and put in a fancy cover. They are very nice and great for cold nights but don’t fall into the trap of paying a fortune for a little bit of rice and cloth that you can put together in very little time and with scrap material even if you are totally sewing it by hand. These make a great gift too! Blankets have always been a good trade item, but I have also to point out that since you can make so much out of fleece blankets, you have even more options for value adding and trading if you want to or find the need. Sometimes value adding can make what you have go further. There are no straight-up rules for this during a SHTF situation. Some items may be more scarce than others, and that may affect how you decide to use what you have. In fact, you should definitely take this into consideration. There is nothing wrong with the $2.50 version, but for wear and tear and everyday use, the $5 ones are a better deal in my own opinion. Thickness and fleece weight is something to consider. If you order online make sure you read to see what you are getting. If you are lucky enough to live near a fabric outlet, then you may be able to find very inexpensive fleece scraps that can be used to create many of the things on this list. A patchwork fleece quilt is a bright and colorful way to keep a child warm or just simply brighten a room during hard times. Many stores sell a lot of different types of fleece that are sold by the yard. This is one way to get a very thick fleece if desired. Remember that this stuff is really warm so getting thicker fleece may be overkill in some climates. There is nothing wrong with having a little of both either for different uses and times of the year. There are a lot of different grades of fleece.ou have any put back in your preps or have you found a better option for emergency blankets or cheap fabric for SHTF? What do you use fleece blankets for? Also adding a bed sheet on top of the fleece blanket keeps heat in. Our local thrift store now sells hotel quality sheets. I plan to experiment with adding a layer of sheet in between the fleece to make a better insulated blanket. Love the ideas of hats and socks! Could also make double layered mittens. Have often thought of sewing a mylar blanket between two layers of fleece blankets. Do you think the mylar will rip off the threads ? Would it be washable ? “A $5 blanket and a $3 pack of lighters here and there may not seem like much but spending $5-$10 as you can throughout a year can lead to being much more prepared than the average person out there”. This statement is very true. If everyone would put something away for a rainy day, even if it’s something as simple as these fleece blankets, a backup battery bank, or a little food. It can certainly make a horrible situation more tolerable. And you can have a good start on preps by the end of the year. Also, I keep four of those inexpensive fleece blankets in each car for emergencies. You never know when you might need them if you break down. You can get them real cheap right before spring, the stores will want to get them out the door. For John, Mylar sandwiched between two layers of fleece won’t take to being washed very well. In my experience most thin Mylar rips very easily, don’t believe it would take to more than one washing being tumbled and bent in a washing cycle. Now Mylar does come in different thickness, but for the better Mylar like from a hydroponic store. For that added cost, you could just buy a better thicker quality fleece blanket. And even then, that Mylar can still rip if your not careful. Just saying. I made curtains to block out summer heat. Two layers of light weight fabric and mylar in between. It worked great for that purpose. I don’t think it would hold up to regular use or washing. You can get heavy mylar camping blankets for about $15 that would probably work better. Often in the late winter you can get good quality fleece blankets on clearance. All sizes are usually the same price, so I try to get king size. Have used these blankets to make a warm backing on quilts made out of old T-shirts or sweatshirts. The double layers make a really warm blanket. If you’re going to cut the blankets up to make hats, socks, or sweatshirts, king size gives you a lot more fabric. A woodsman show, “ReallyBigMonkey5” suggests putting a reflective space blanket (shiny side in) between two layers of fleece blanket for good outdoor sleeping. Just be sure the space blanket is safely tucked between the fleece so it does not touch your skin. Double it up or triple it using second/third layering for colder weather.